Hospitality and Recreation: Hotels, resorts, cafes, bars, restaurants, gyms, health clubs and spas, etc. At Carlson Studio Architecture we provide interior design for many of our own projects and also collaborate with other project teams to provide interior design services that do not necessarily need an architect. We will lead you through the process and carefully listen to your goals and your aspirations. Like our architecture, we do not design in one particular style. Our designs are a combination of our experience and our client’s inspiration. An interior designer is preferably involved with a building project from the beginning. Our job is to help create functional interior space by understanding how the occupants will use the space. We consider indoor environmental quality, light, sound and other design aspects and we are also well versed in building codes, mechanical, electrical, plumbing and structural considerations. We are well versed in the LEED green building rating systems, especially as it relates to indoor environmental quality (EQ credits) and materials and resources (MR credits). We are familiar with the differences between the LEED for Homes standard and various commercial building standards in LEED. We have successfully complete interior designs that have been certified in LEED-NC, LEED-CI and LEED for homes. 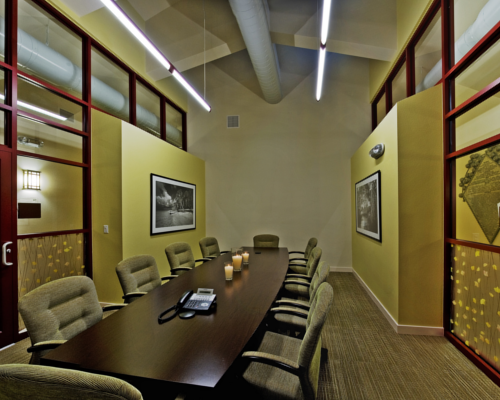 Whether or not a project seeks independent certification, the principles of daylighting, healthy materials, local and regional materials, salvaged and recycled materials all play a role in all our design solutions. Our interiors, like our architecture always strive to be good to the user, the planet, and the budget. 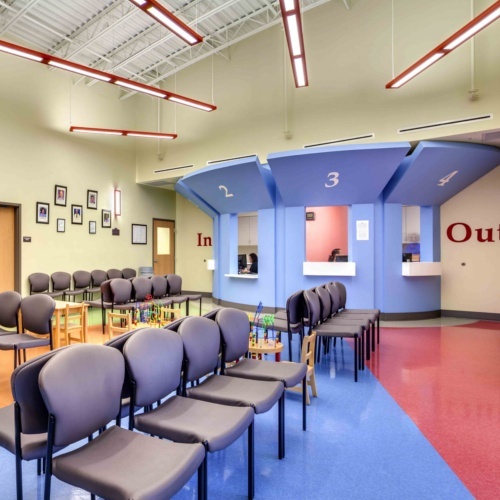 This non-profit interior design project ushers over 60 families through its doors every day! 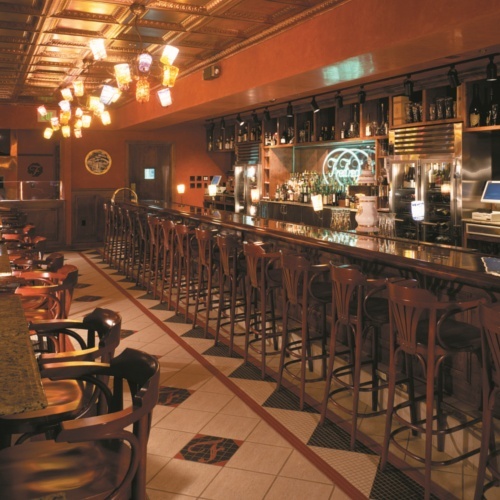 This fine dining experience will have you hungering for Carlson's commercial interior design services! 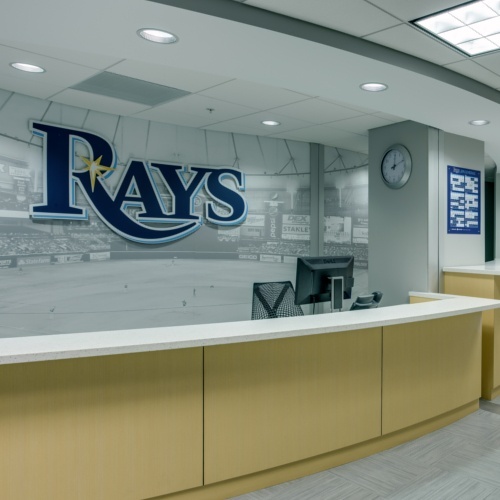 Jump out of your seats and cheer for the Rays in this multi-faceted commercial interior design project! Green, beautiful, and totally integrated. 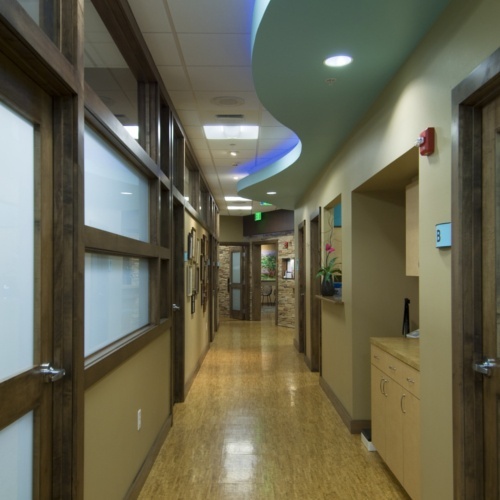 This medical facility will have you healing in no time! Get an Interior Design Consultation Today!